Bin Chen and Andrew Chau are two Boba Nerds that met and decided to chase perfection while upholding quality, passion, and transparency. 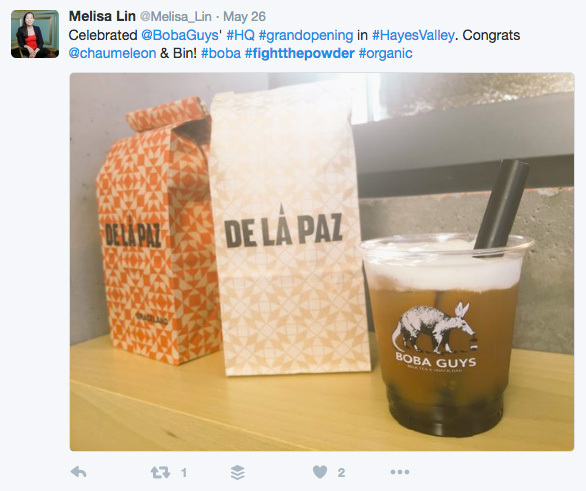 For those unfamiliar, Boba is a tapioca milk tea drink popular in Asia is now gaining popularity in the U.S. The Boba Guys came to Plinth to raise money for a 2nd location is San Francisco's Union Square. To get people to support the campaign we created a video which focused on the young entrepreneurs, what their company stands for, and the of dream what people were helping build with their money. The Boba Guys take an artisan approach to crafting their products. Championing their non-traditional flavors like Horchata, Pumpkin Chai, and Cold-Brewed Coffee Milk Tea provided potential backers with a glimpse of the new world of flavors they’d be supporting. Clean lines, minimal color palettes, attention to materiality, and a great brand experience are the hallmark of the Boba Guys. In our research we found that many boba shops are turning to cheap substitutes to keep prices low. 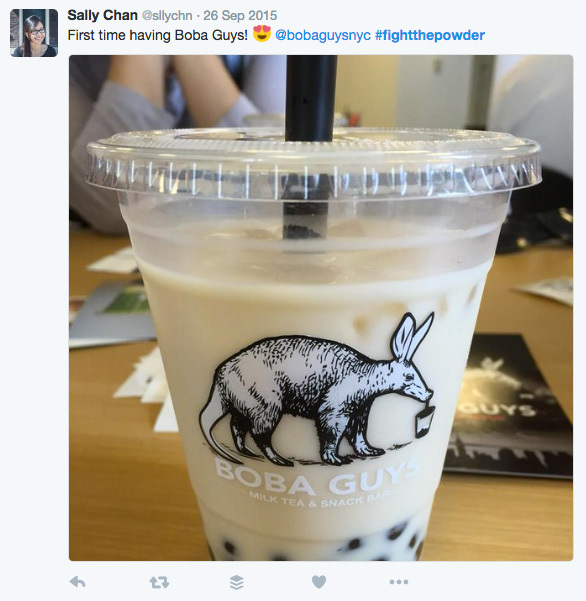 To help rally people around the Boba Guys's core values and differentiate Boba Guys from cheaper competitors, we created #FightThePowder to communicate their dedication to quality. The hashtag was so successful that consumers and other shops started to use the rallying cry! Reward Tiers That Lead To An $89 Pledge Average For A Drink That Cost $5. When consumers go to Boba Guys, they will spend on average $5 for a drink. How do we get them to increase their average spend online? We analyzed similar crowdfunding projects to design a reward strategy to hit certain sweet spots in order to move customers into a higher price point. Our end result is that our average pledge is was $89+! Plinth built a promotional funnel that would drive traffic to the campaign by leveraging their social media reach, evangelizing their customer base, and creating in-store promotions. A key part of the strategy was press outreach. First we identified writers that would speak to our target audience. After that we researched their past articles to unearth themes and patterns the writers gravitated towards. Finally, we crafted dozens of press angles tailored specifically to them. In the end, 49% of the writers replied to our outreach, and 66% wrote about the campaign. The campaign raised 112% of their goal with more than 50% of their goal raised in the first Week. WE USE A MIX OF CREATIVITY, OUR PROVEN METHOD, AND PROJECT SPECIFIC STRATEGIES TO CREATE WINNING CAMPAIGNS. WHETHER YOU NEED STRATEGY OR SOMEONE TO CREATE AND EXECUTE A CAMPAIGN, WE SHOULD TALK.